The best things come in compact packages. 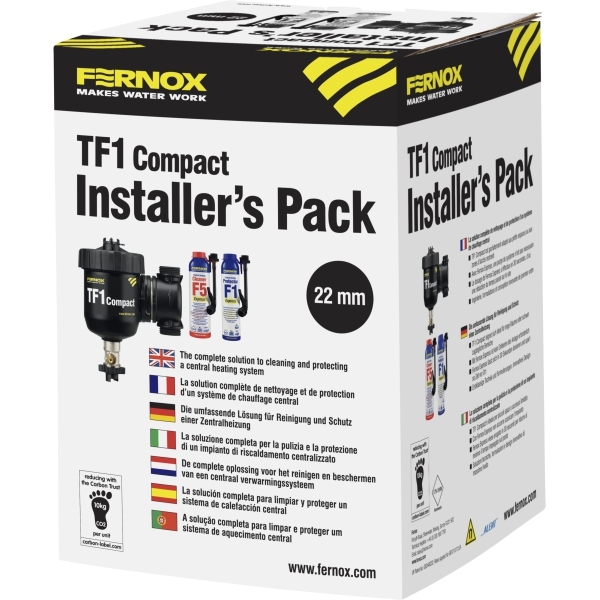 This handy pack contains everything that you need to clean, inhibit and fully protect a central heating system when there is limited space which restricts the installation of the standard size Fernox TF1 Total Filter. When used in conjunction with chemical water treatment can prolong life of a system.